The B&B “The Great Beauty” is located in a highly touristic area, in the wonderful Prati district. Despite this, the street where the structure is situated is particularly quiet and full of commercial activities. In the immediate vicinity, as well as bars, restaurants, pubs and ice cream parlors, there are major public transport services. The buses of Piazzale Clodio (lines 23, 30, 31, 33, 69, 70, 89, 130F, 495, N7), Piazza Risorgimento (lines 19, 32, 81, 590), and the Metro (line A “Ottaviano / San Pietro”), only 400 meters away from the B&B, allow to get around comfortably throughout the whole city of Rome. Going for a short stroll, you can easily reach the Vatican: the smallest state in the world, with its majestic St. Peter’s Basilica, where every Sunday the Pope recites the Angelus. Inside the Vatican is located the impressive Sistine Chapel, inserted into the path of the Vatican Museums. If you feel like doing some shopping, a few steps away from the B&B, you can find the famous Via Cola di Rienzo, you can then continue to the so-called “area of the Trident” and the famous Via Condotti, Via Borgognona, Via Frattina and the whole area adjacent the beautiful Spanish Steps. There you can admire the Bernini’s fountain and the staircase on which the church Trinita dei Monti stands. Leaving the refined atmosphere of the eighteenth century and the square, right round the corner you will be surprised by the beauty of the Pantheon, built as a temple to all the ancient divinities. Also absolutely not to be missed the Trevi Fountain, just 4 metro stops away from the hotel. Undeniable universally known symbol of Baroque architecture, the fountain has become one of the icons of the city. The monument is the protagonist of one of the most famous scenes in the world cinema: the movie “La Dolce Vita” by Federico Fellini’s. The fountain represents the theme of the sea in the classical mythology. The set design is dominated by a rocky cliff, at the middle of which stands a statue of the Titan Ocean. A short walk away from the square, it is possible also to reach the Galleria Alberto Sordi, the prestigious complex of shops and boutiques of excellence, located just in front of the Column of Marcus Aurelius. How not to mention the Colosseum, the most imposing monument of the ancient Rome preserved until nowadays. 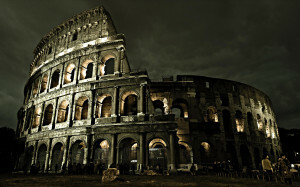 Located in the city centre, is worldwide recognized as a symbol of the Roman world. Each year, the circuit of the Colosseum, including the guided tours of the Roman Forum and the Palatine Hill, is admired by more than six million people. It is the most visited site in Italy. Accessible with a 20-minute Metro journey, starting from the Metro stop “Ottaviano / San Pietro”, and arriving at Termini station. There it is possible to take the Metro B and, with a 5 minutes journey, the Colosseo will be easily reached. 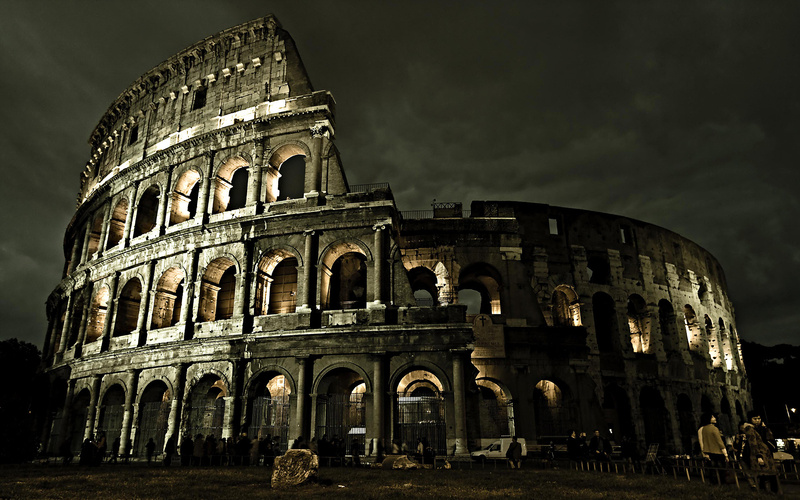 Is not possible to enumerate the list of the wonders of Rome neither here nor in any book. If you want to be enchanted by the beauty of the eternal city you have chosen the B&B perfect for you.